TORRANCE, Calif., Oct. 9, 2013 – It just got a little easier for drivers to maximize their fuel savings and be environmentally responsible. Toyota’s most advanced technology passenger car, the Prius Plug-in, will be available to customers at a substantially reduced price beginning with the 2014 model year. 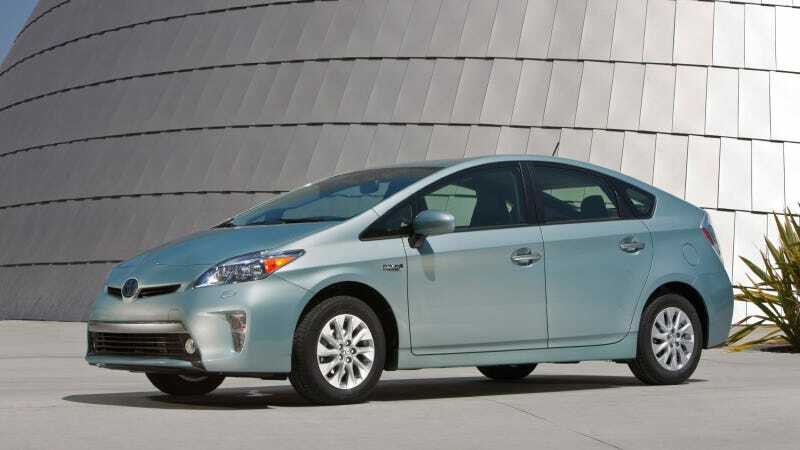 Toyota has reduced MSRP on the 2014 Prius Plug-in Hybrid by over $2,000, making the starting MSRP $29,990 (excluding DPH). This price repositioning on the base Prius Plug-in Hybrid is not accompanied by any reduction in vehicle content. The 2014 Prius Plug-in Advanced will offer DRCC (Dynamic Radar Cruise Control, PCS (Pre-Collision System), LED headlights and fog lights as part of an optional Technology Package for customers seeking the highest level of technology. The 2014 Prius Plug-in is also eligible for the State of California’s HOV lane sticker (www.arb.ca.gov/msprog/carpool/carpool.htm). The Prius Plug-in is available in 15 states (California, Oregon, Washington, Arizona, Maine, Massachusetts, Vermont, New Hampshire, Rhode Island, Connecticut, New York, New Jersey, Maryland, Virginia and Hawaii). For special deals in your local area, please visit www.buyatoyota.com.